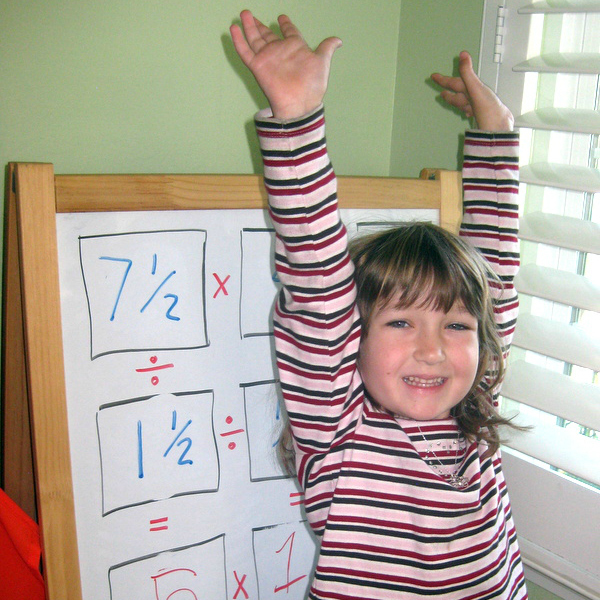 Home » gifted » math » How Can You Raise Your Girl's Confidence in Her Math Abilities? 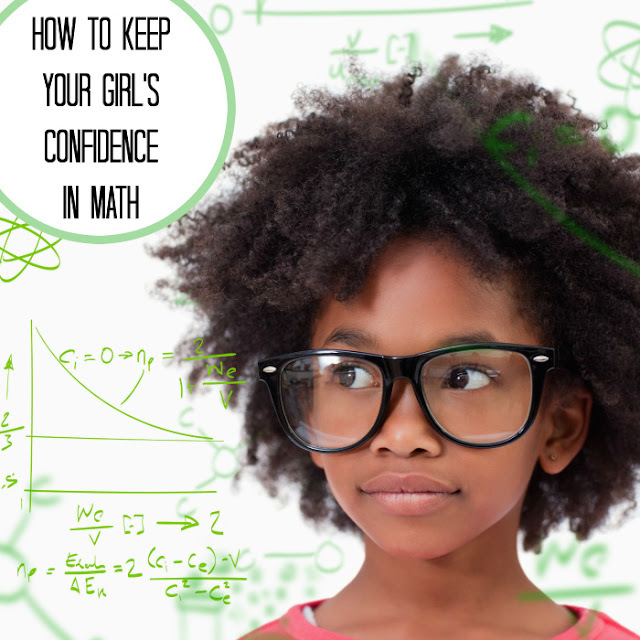 How Can You Raise Your Girl's Confidence in Her Math Abilities? I can't! This is too hard! I hate math! Don't try to explain this to me, this is too boring! Does any of this ring a bell? Have you heard the phrase that confidence is like a muscle: the more you use it, the stronger it gets? So why are our girls losing confidence in their math abilities as they move through school years and is there anything we can do to help them believe in their math gifts and help them love math? This day started as usual. I was sitting at my desk, sipping my coffee and perfecting my spreadsheet with budget categories for my project at work. My 9 year old was getting ready for school. She climbed on my lap as she still likes to do occasionally, looked for a moment at the graphs on my monitor and then said, You know, M is better at math than I am. He knows calculus already. I almost spit my coffee all over my keyboard. My first reaction was to argue with facts. I was helping during math time in her classroom for several years, and this year I have one hour of Math Olympiad pullout with fourth grade students who are gifted or high achieving in math. Both Smarty and her best friend M are part of this group, and I know objectively that Smarty is more advanced in math. But... I checked this immediate response. Why? I could have provided all the supporting evidence to my daughter "proving" to her that she is better at math than M. But... I would have just poured more oil onto her competitive desire to compare herself with others. For better or for worse, our school system is built on competition and comparison. Not only kids get grades that "sort" them into "buckets", they also show off to each other and boys are often better talkers when it comes to this kind of "show off" contests in math. For example, M loves to read math non-fiction books, such as How to Be a Math Genius? and then weaves math terms into conversations trying (successfully, I might say) to impress Smarty and other classmates. So I decided to take a very different response to her statement. What I told my daughter is that it really does not matter whether M is better at math or she is. There is always going to be someone somewhere who is better, but it's not the point. What matters is that she is better today than she was yesterday, and that tomorrow she can be even better. I reminded her of a quote from one of her favorite book characters, Professor Dumbledore, It's not our abilities that define who we are, it's our choices. And I commented that her current choices would lead her to true understanding of calculus and other complex math concepts when she has a firm foundation to master them. I do not make her practice math nowadays, since she willingly spends 20-30 minutes a day on her favorite math sites. She has a formidable aptitude for math, and I want to hope that her personal journey in math will be long, joyful, and rewarding. More Joyful Math for Kids? Did you experience this loss of faith as you went through your school years? 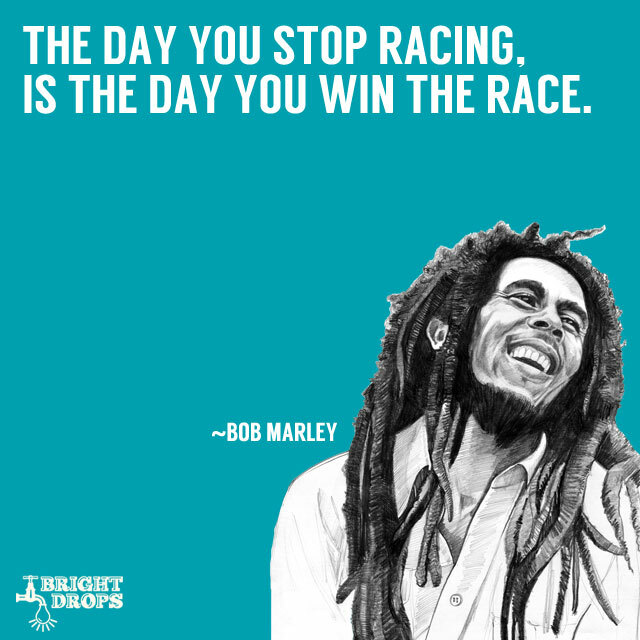 If you were able to regain it or keep your faith, what strategies worked for you? I am joining conversation on math enrichment and math education with Hoagies Gifted Education Page. Check out Hoagies Gifted website and like Hoagies Gifted on Facebook! Always defined myself as "not a math person." But I suppose a lot of girls my age felt the same way. It may be different now, hopefully, for so many young girls, where there are more opportunities. But math is still a barrier for so many, and you point out great suggestions for challenging insecurity when it arises. K is pretty competitive as well despite the fact that we homeschool. I'm trying to remind her that it's about the learning process and not in comparing yourself with others....but I don't think they can help themselves. Isn't it fascinating how early this comparison game begins? I love your answer. You want to be better than YOU were yesterday- it's perfect! I think it is also important to see that math is in EVERYTHING. 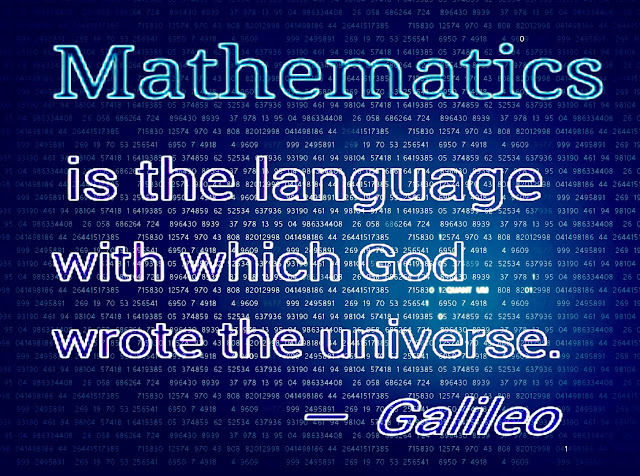 Being good at rote math memorization is one way to be good at math. Knowing how to design a pattern to sew a 3D object is another way to be good at math! There's a class where they teach calculus for 5 year olds. Maybe A would like to take that class? I have constant discussions on this subject with my daughter. I think our choices define us, yes, but our abilities do to, since they play a role in our choices and what we can do to serve others, make a living, etc. People often define or identify people by their occupations, abilities, and skills so I think that's an important part of self identity. In order to build those skills and function for ourselves and others we need to think about our choices. I draw pictures for my kids (we homeschool) and help them see visually that each grade's content leads to mastery at high school and college level and that's the goal. I also let them know that there's room for more than one math (or English or science, etc.) whiz in the family and community, and that we each have a totally unique path as we travel through life. There are far too many variables to accurately compare ourselves with others. Others may have a different combination of talents, support, stressors, disabilities, etc. and there many factors that are not obvious or even invisible to one another. If you want to talk about what's possible then what's possible is you can build on skills every day like you build a house, or you can keep getting stuck on the impossible, which is to try to see your peers as equal to you in every way so that you can effectively compare your math skills (or whatever achievements). It's just impossible. And we are all created with different levels and types of talents FOR THE SURVIVAL OF THE TRIBE. It is actually the best and most efficient way to keep a group or society alive. We depend on each other and our variety of talents. Relax and delight in being the one and only you.